SCVHistory.com | Film-Arts | Death of Gidget the Chihuahua, Taco Bell Commercial Star, 2009. Handlers say Gidget the Chihuahua, whose Taco Bell commercials made her a star, has died. She was 15. The owner of Studio Animal Services in Castaic said Gidget suffered a massive stroke late Tuesday, July 21, 2009, at the Santa Clarita home of her trainer, Sue Chipperton, and had to be euthanized. 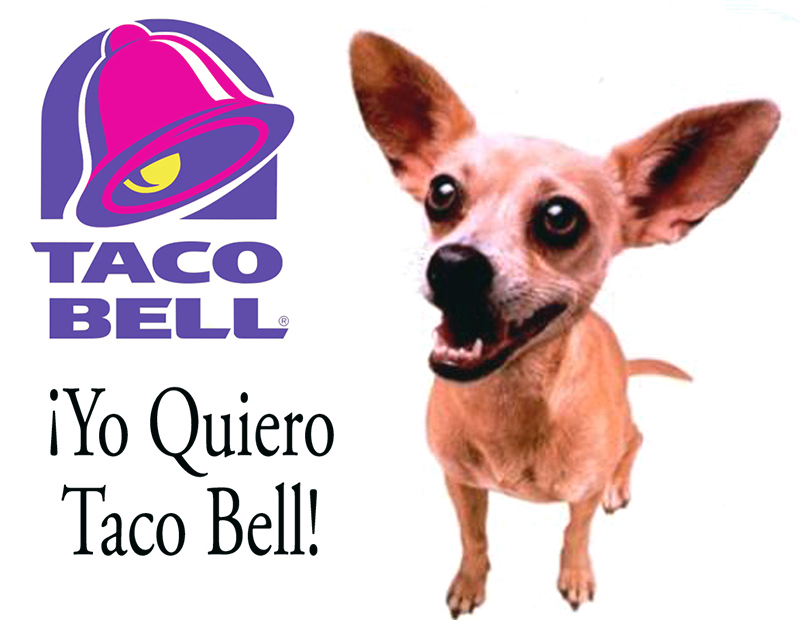 Gidget was the sassy mascot in Taco Bell commercials from September 1997 to 2000. Gidget, a female, was originally intended to be cast as the girlfriend of the lead, a chihuahua named Dinky, but the director made a last-minute change. 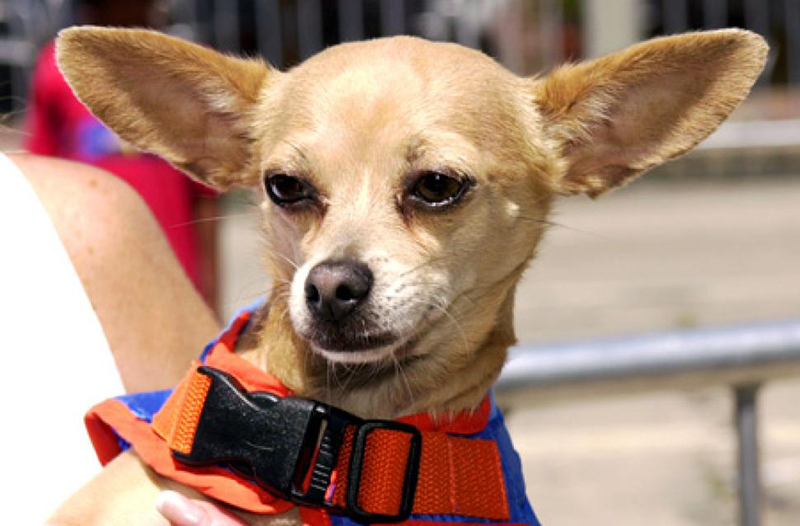 While other dogs had bit parts and another chihuahua named Taco occasionally stood in for Gidget, it was Gidget's bug-eyed, big-eared face that is seen pronouncing, in the dubbed voice of comedian Carlos Alazraqui, "Yo quiero Taco Bell," Spanish for "I want Taco Bell." Gidget also branded the catch phrases, "Drop the chalupa!" and "¡Viva gorditas!" The ads made the Taco Bell mascot wildly popular, although they provoked some criticism from activists who felt they used Mexican stereotypes — and they ran their course. Taco Bell dropped the ad campaign in July 2000 after the company sustained its biggest-ever second-quarter loss (6 percent). And it was a mixed blessing for the voice actor who actually said the popular phrases. Carlos Alazraqui, an actor, comedian and voice artist from Yonkers, N.Y., who also voiced Rocko and Spunky on "Rocko's Modern Life" and The Crockers on "The Fairly Odd Parents," said voicing the Taco Bell chihuahua was the easiest and best job he ever had. At the same time, "the dog got to go to all the red carpets. The dog got all the attention." Gidget went on to star in a 2003 Geico commercial and played the role of Bruiser's Mom in 2003's "Legally Blonde 2: Red, White & Blonde." Gidget was cremated, and Chipperton kept the ashes. Taco Bell Corp. said its "deepest sympathies go out to her owners and fans."